Remember as a child bringing a security blanket and/or toy to bed with you? However, a dog named Bentley has a nightly ritual that involves bringing something from his massive toy collection to bed with him. 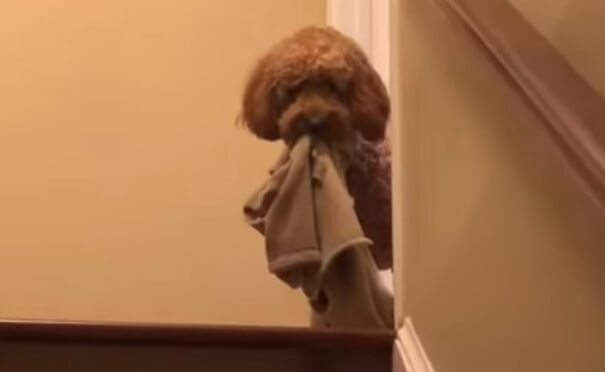 As Mashable shares, Bentley is a minidoodle whose owner recorded his adorable habit at night. Watch the compilation below. Honestly not enough screen time was given to Bentley’s attempt to drag up a giant-sized teddy bear at the 0:46s mark. That would have been a delight to witness.